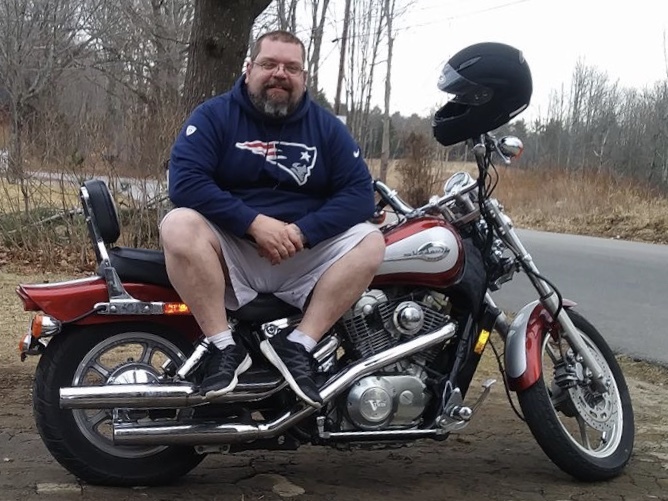 Obituary for Albert J Voisine, Sr. | Boucher Funeral Home, Inc.
Albert J. Voisine, Sr., 40, of Gardner, died unexpectedly Saturday, April 6, 2019 in Orange, from complications from surgery. Albert was born in Gardner on January 31, 1979, the son of the late Albert Voisine and Dorothea (Leger) Berube. He attended Gardner High School; and he had been employed as a driver by various van companies in the local area. Albert enjoyed riding his motorcycle and spending time with his family. He was a member of the Beagle Club of Gardner. Albert leaves three sons, Albert J. Voisine, Jr. and his significant other Mercedes Linnell of Gardner, Dominic Voisine of Gardner, and Zackery Voisine and his significant other Serena Nguyen of Gardner; two daughters, Maria Voisine and her significant other Jesse Lajoie of Gardner, and Caitlin Voisine of Gardner; one brother, Michael Voisine of Gardner; four sisters, Debbie Morris of Winchendon, Jessica Leger and Steve Chalmers of Gardner, Crystal Voisine of Valdosta, GA and Laura Voisine and Tim Russell of Wendel, MA; grandchild, Jordan Howard; aunt and uncle, David and Joanne Berube of New Bedford; several nieces, nephews and cousins. Funeral Services will be held Friday, April 19th at 1:00 p.m. in the Boucher Funeral Home, Inc., 110 Nichols Street, Gardner. A calling hour will be held Friday, April 19th from 12:00 p.m. to 1:00 p.m. in the funeral home. Memorial contributions may be made to Cornerstone Church, 122 Gardner Road, Winchendon, MA 01475. Please reference in memory of Albert J. Voisine, Sr.